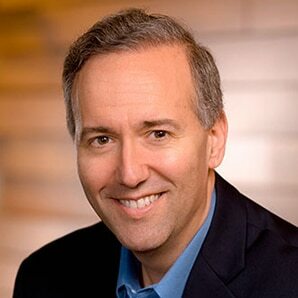 Mike Marcellin is Senior Vice President and Chief Marketing Officer, leading the global marketing team responsible for marketing Juniper’s product and services portfolio and stewarding the brand, driving preference for Juniper in the market, training its partners and sales teams, and developing a differentiated digital experience for its customers. Before joining the global marketing organization, Marcellin led business strategy and marketing for Juniper’s industry-leading portfolio of high-performance routing, switching and security products. Prior to joining Juniper in 2010, Marcellin served as Vice President of Global Managed Solutions for Verizon, where he oversaw product development and marketing of its managed IP networking, hosting, security, and IT solutions for businesses around the world. He also served as Vice President of Global Product Marketing for Verizon Business, executive director of Verizon Business’ IP and Ethernet portfolio as well as leading the company’s eCRM marketing division. Marcellin began his career with Price Waterhouse IT consulting. Marcellin is a Board Vice-Chair for the Telecommunications Industry Association and a Board Member of US Ignite, an NSF-sponsored initiative. Marcellin holds two patents and was a Rodman Scholar at the University of Virginia, where he received a bachelor of science degree with distinction in systems engineering.